I had the privilege, last week, of attending the launch of MAN Diesel and Turbo’s new PrimeServ service station in Canada. The event, which occurred in Vancouver, last Thursday, with many industry guest on hand, officially launched MAN’s service station on the West Coast of Canada. Earlier in the week, a ceremony was held in Halifax, to launch the East Coast’s PrimeServ location. MAN Diesel is of course well known has being a major supplier of Diesel engines worldwide; two strokes and four strokes. With its roots dating back to 1758, in Bavaria, Germany, M.A.N., which stands for Machinefabrik Augsburg-Nurnberg, is home to the birth of the Diesel engine. In 1893 Dr. Rudolph Diesel started developing the novel prime mover in MAN’s workshop in Augsburg. 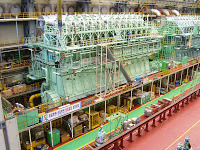 The Diesel engine is now a central part of our daily lives, playing a major role in efficiently providing power for numerous applications, at sea and on land. The MAN name came to Canada with the acquisition of Alstom Engine Canada in 2000. 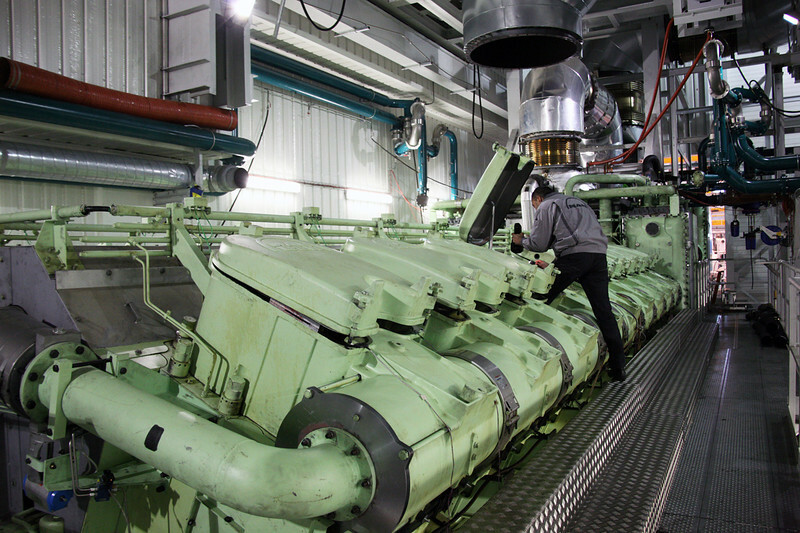 Based in Oakville Ontario, the operations were mainly geared towards power plants design and deployment. With the opening of these new PrimeServ locations, MAN is addressing the long time absence of Authorize Engine Representation in Canada, especially in the marine sector. MAN, in the course of it’s history, has merged into it’s operations, many well known prime mover brands, many are still in operation. The opening of an official OEM regional point of contact will surely benefit the local operators, with accurate, trouble free sourcing of parts, service and training. If you have an engine, turbo or propulsion equipment built by MAN, or originally supplied by Burmeister & Wain (B&W), SEMT Pielstick, Mirrlees, Ruston, Paxman, Alstom, Blackstone, Napier, Alpha, Holeby, and more, then MAN’s PrimeServ is your OEM point of contact. On the west coast of Canada, Riseley D’Souza will head the regional office, based in Victoria, with a workshop at Point Hope Shipyard, and an office on the mainland, in Richmond. On the East Coast, the office and workshop will be based out of Halifax, under the leadership of Pierre Poulain. Central Canada will continue to be serviced by MAN Canada’s PrimeServ office in Oakville, soon to move to Burlington; experienced deep sea engineer Kamen Stoykov is your “go to” guy there. I extend my warmest welcome to PrimeServ in Canada; better late than never, as they say. With many engines under the MAN OEM banner, still in operation on the West Coast, PrimeServ will definitely be a welcomed and positive addition to the local maritime community; not to mention very handy to our many international visitors at our British Columbia ports. You can reach Riseley on the West Coast at 604 360 7834, or by email at riseley.dsouza@ca.man.eu. Pierre’s phone number in Halifax is 902 402 6445 or pierre.poulain@ca.man.eu. The main PrimeServe office in Canada is at 289 835 1010, or primeserv-ca@mandieselturbo.ca. 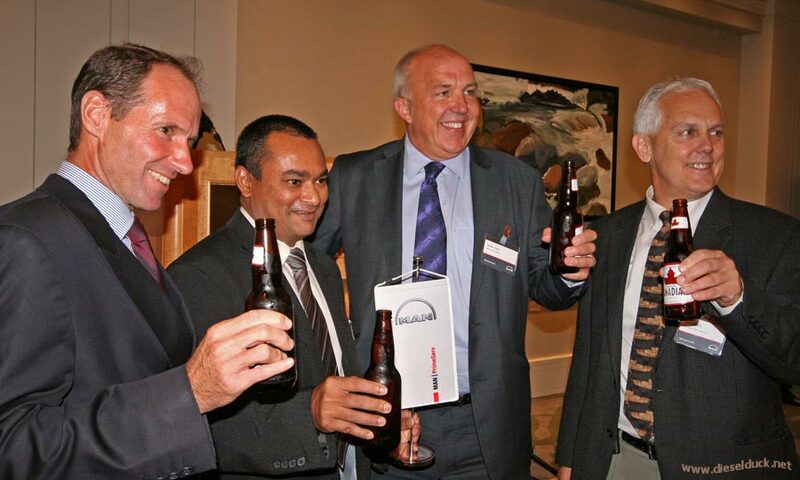 All three are experienced Marine Engineering peers and are easily approachable.